America has a way of normalizing rebellion. Beat poets in smoky coffee shops turned into hipster coders in Starbucks; the opt-outs of surf culture were transformed into commercial commodities packaged by Gidget and The Beach Boys; and the body art once reserved for sailors has become a rite of passage for 21st-century housewives. Mid-century hot-rod culture has gone through a similar domestication: vestiges of its fiery independence and outsider quality can be found in the low-rider tradition of Mexican Americans, but hot-rods are now a matter of nostalgic collecting for graying baby boomers, and the “weirdo” vibe of Kustom Kulture has become normalized to the point that the bulgy-eyed, adrenaline-fueled monsters that were once synonymous with the rebellious nature of the subculture have become part of the mainstream: you’ll see similar characters on almost any program of the Cartoon Network. Rat Fink became the unofficial mascot of Kustom Kulture, and unlike his litigious Disney counterpart, was part of a creative common, so that some of the creations here are inspired but not created by Roth. And similar “monsters” behind wheels created by Roth appear here as well. In addition to his manic drawing habits, Roth was known for his custom built hot rods. In fact, these came first and Roth put Rat Fink and his cohorts behind their wheels later. While none of Roth’s hot rods are here, two inspired by his designs and built by Ephraim local Robby Layton are here, as are two go-carts and a Rat Fink chopper. In his later years, Roth joined the LDS Church, which to many must have seemed like the taming of a once-rebellious spirit (by the time Roth joined, the rebellious, counter-culture aspect of LDS culture had all but disappeared). His creations, though never tamed, have become more mainstream as well. At one time, having Rat Fink on your T-shirt was enough to get you kicked out of school. Now, his image probably wouldn’t raise many eyebrows. In fact, you’re more likely to find his artistic descendants (or slightly toned-down versions) in an animated cartoon these days than you are to find those of his inoffensive Disney counterpart. 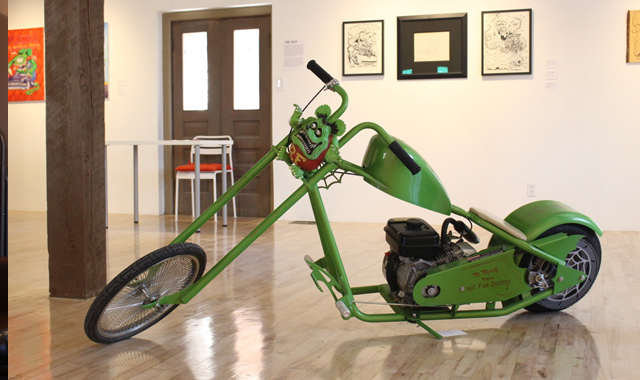 Rat Fink!, featuring the work of Ed “Big Daddy” Roth, is at The Granary Art Center in Ephraim through September 18. 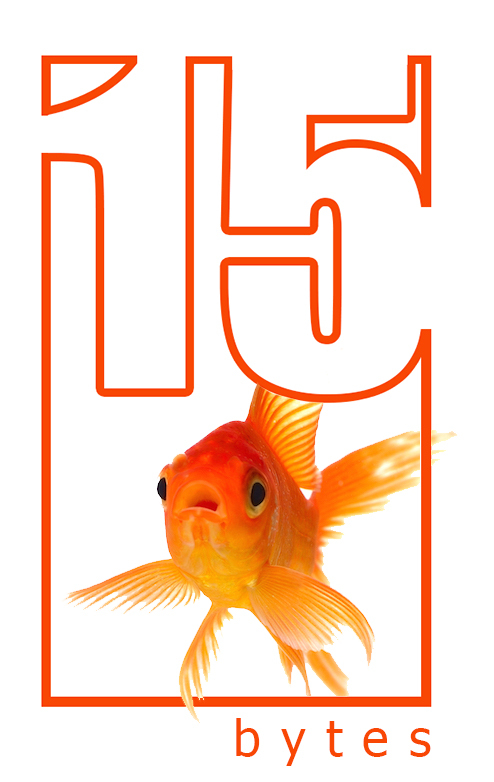 This article appeared in the June 2015 edition of 15 Bytes.